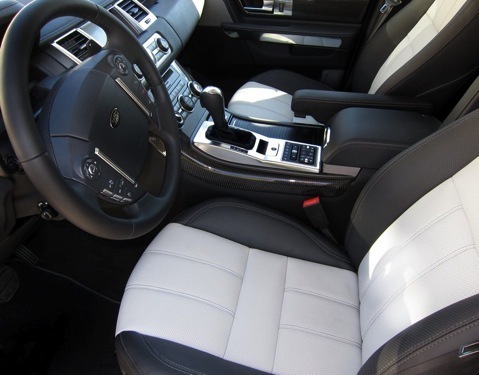 What could be better for Southern California cruising than a brilliant white Range Rover Sport Supercharged? Green-shmeen, forget about fuel economy! Just listen to the roar of the engine when five hundred and ten supercharged horsepower come on song. Learn to play the exhaust note with your right foot – it’s a quiet cruiser, but gets serious when you do – and revel in this luxury SUV’s ability to power into just about any spot you choose. I was able to test-drive this high-end vehicle for a week when my family flew to the San Diego area for a combination of business and pleasure. It was quite an experience. For a mere $76,000, the Range Rover Sport can certainly open up doors – it did for us. Here’s the story: After too many hotel breakfasts, I did a “Yelp” search for a nicer eatery. The Grand Del Mar, just a few miles north of San Diego, was recommended, so off we went – my wife, two teenage kids and me. It was Sunday morning, but we weren’t in our Sunday best. I had no idea that there’d be the equivalent of a maitre-d’ / bouncer at the Grand Del Mar guardhouse, keeping the riff-raff out. But back to the joys of piloting this 5,800-pound luxury/performance SUV. Acceleration was never an issue, whether from a standstill or merging onto a high-speed freeway. Handling was also surprisingly responsive, especially with the Terrain Response system in Dynamic Mode. Brakes? 15-inch front rotors and 14.3-inch rears with Brembo calipers were definitely up to the task. And then there’s the interior. Two-tone ivory-and-black leather with carbon-fiber trim was truly au courant. Beyond the gorgeous design, however, the quality of materials really stood out, and made that $76k price tag seem reasonable. The leather on the steering wheel, for instance, was glove-soft. And the brightwork around the center-console controls looked and felt nickel-plated. Range Rover Sport technology was also appreciated. The navigation system’s real-time traffic updates helped us avoid some serious California tie-ups, and the Harman Kardon audio system was sublime. Turn up “I Love LA,” and sing along! Is the Range Rover Sport everyone’s cup of tea? Of course not. I averaged 13.7 mpg on the first tank and a more respectable 16.2 mpg on the second – not bad considering the power and luxury of this beast, but still a bit shocking. If you can’t afford the gas, I guess you probably can’t afford the vehicle either. Ah well. While it swallowed all of our luggage and other flotsam and jetsam that we acquired in our travels, my only real product complaint was the surprisingly tight rear headroom – my 6’ 2” son couldn’t grow much taller and still fit. But none of these quibbles really matter when you’re California cruising in a Range Rover Sport Supercharged. You’ve got power, luxury, presence, and of course, the unique Land Rover heritage of go-anywhere capability – I couldn’t help but notice the old Range Rover vehicles used as props at San Diego’s Safari Park. Other luxury SUVs have a hard time matching that combination of capability and panache. For those fortunate enough to have a fleet of vehicles to their name – family hauler, weekend sports car, and all-around do-anything-in-style SUV – the Range Rover Sport Supercharged is hard to beat. When my first novel becomes a best-seller, I’ll give it serious consideration. People often ask just how long they can expect a car to last – 100,000 miles? 200,000? Here’s the cold, hard truth: A modern car can last a long time, but at some point you may not be able to afford to keep it. 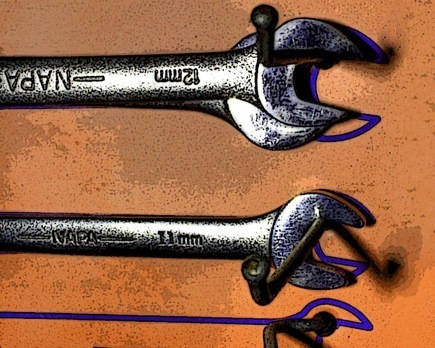 According to AAA, transmission repairs can cost between $2,000 and $4,000. Engine repairs are higher yet. Another source, National Auto Inspection Services, states that even air conditioning repairs often exceed $1,000. Those six-figure repair costs are pretty daunting, and one can only wonder how the average owner of a 10-year-old used car would handle them. In fact, a AAA survey (August 2011) found that one in four Americans could not afford to pay for a car repair of $2,000 or more. Speaking from personal experience, I recently had to say goodbye to an old friend – just 6 years old and with 138,000 miles. Faced with a $5,000 repair bill, I decided to sell it “as is” and lease a new car for $215 a month. It just made more fiscal sense. And I’m thankful that I could qualify for the lease, unlike some who might not. Looking toward the future, the situation may get worse. Let me tell you about my good buddy, Dan, who has a Honda Civic with over 415,000 miles on it. Dan has given his Civic all manner of preventive maintenance and TLC. Sure, he’s had to replace an alternator or water pump from time to time, not to mention other components that he’ll replace on a proactive basis, since he has a pretty good idea how long these pieces last. Dan’s 1988 Civic is a pretty basic vehicle, though. There’s no ABS or electronics to be speak of beyond some rudimentary engine controls for the throttle-body fuel injection and electronic ignition. The car doesn’t have power windows or power locks, and the instrumentation is pure analog. In short, there’s very little complexity to any of the components and systems. It fits my golden rule of new vs. used: Buy or lease a new car with all the bells and whistles that you can afford; on the other hand, buy the most basic used car you can live with because there are fewer things to break. But finding a “basic” car is definitely getting harder. Part of the reason is government regulations, but a good part is also consumer demand. Even a low-buck Kia or subcompact Chevy offers navigation, traction and stability control, and a premium audio system. Go up the price/segment ladder to luxury cars, and multiple electronic control units regulate everything from security to climate control to lane-departure systems and blind-spot detection. So what happens with today’s crop of cars when they reach 150,000 miles? It’s pretty likely that the engine and transmission, and even the airbags and ABS may continue to perform just fine with minimal maintenance. I’m not sure you can say the same about the body control unit or the fiber-optic network that communicates with the instrument cluster, or even the tire pressure monitoring system. People joke about airport limos with “check engine” warning lights providing constant dashboard illumination. But what if an engine or drivetrain fault makes the vehicle undriveable? Here’s my prediction: People will be junking used cars with perfectly serviceable drivetrains simply because they can no longer afford to repair the electronics. I can’t imagine a 2012 Honda Civic, particularly one with all the convenience options, going for 400,000 miles without some major electronics failure – something with a price tag that easily could exceed the value of the car. It will keep new car sales motoring along well into the future.